Bring the outside in and create a space that will be the favorite room in your house! One of our most popular options is an all season room. Fully insulated and with highly energy-efficient windows, our four season rooms can be used comfortably no matter the weather. Four season sunrooms are the perfect design for those who want add usable square footage to their home, and we can customize the space for any type of use—from a family room to a home office! 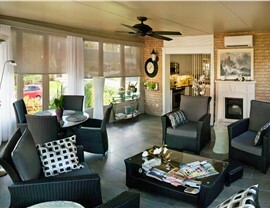 If you’re looking for a warm-weather space, then a three season room is a cost-effective choice. You’ll probably get about 8 months of use from your addition each year and only have to close it up during the coldest months. 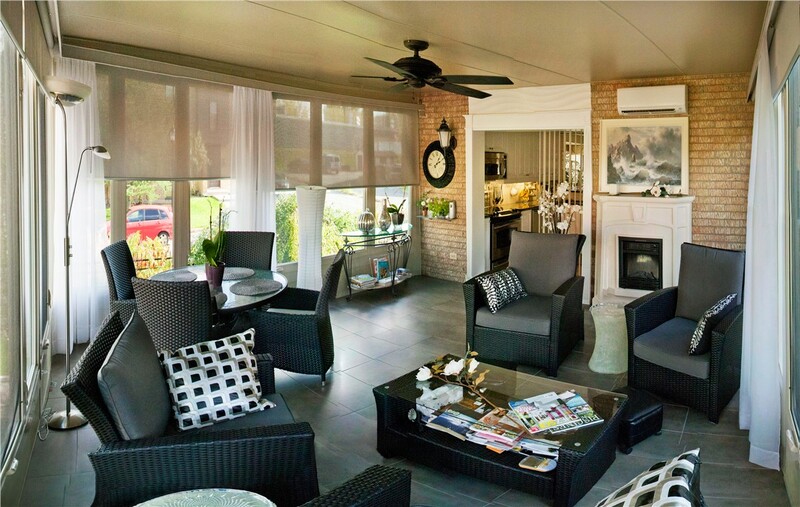 People who love summer entertaining will enjoy these unique sunroom additions! A porch enclosure is an affordable solution for those adding a sunroom on a budget. Using the porch as the foundation cuts the cost and also means we can complete your new addition quickly. 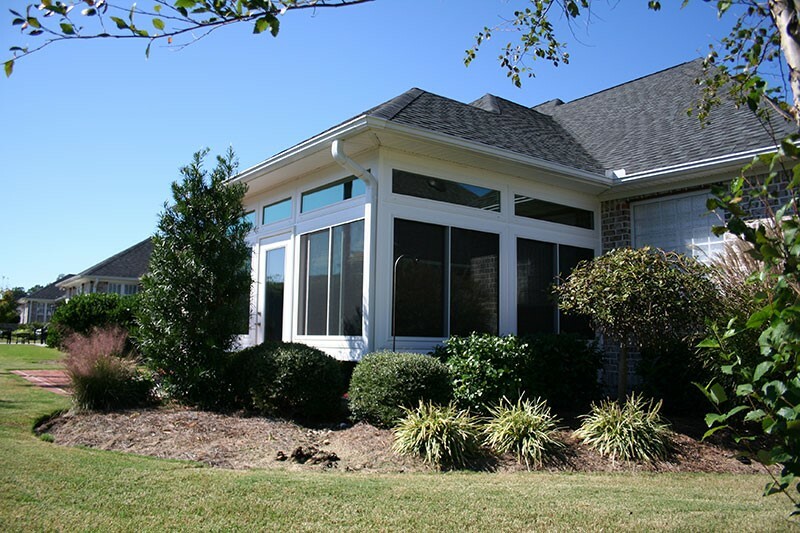 Because the same high-quality, energy-efficient glass of our other sunroom additions can be used with your porch enclosure, you’ll enjoy the same benefits at a lower cost. 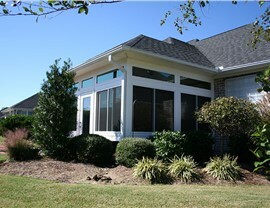 A studio sunroom is a good choice for those who want an addition that blends in with their home. 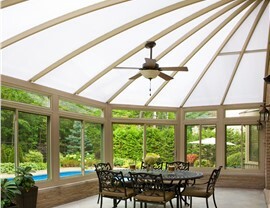 Our factory-trained installers will make it look as though your studio sunroom addition has always been there! 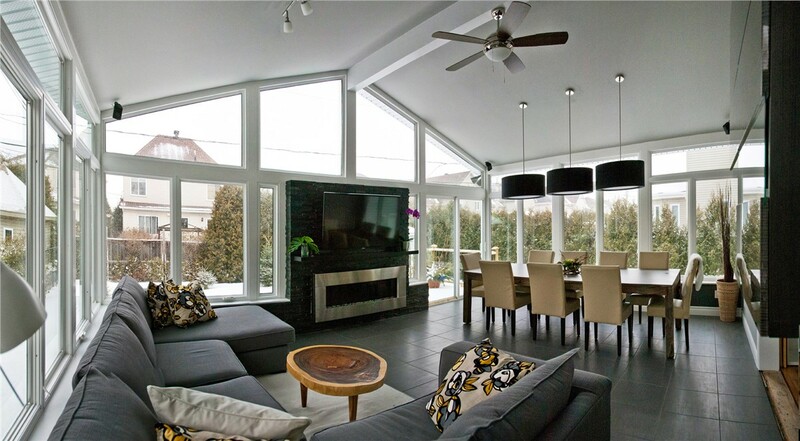 The low-pitch roof and stunning large windows give you the very best features of a sunroom in an elegant package that looks great with any style of home. Enjoy relaxing amid 360-degree views from your stunning conservatory. This elegant addition is perfect for those who want to fully enjoy the scenery. Whether you want to use the space as a greenhouse or as a gorgeous place to entertain guests, we have several styles of conservatories to match your needs and your budget. 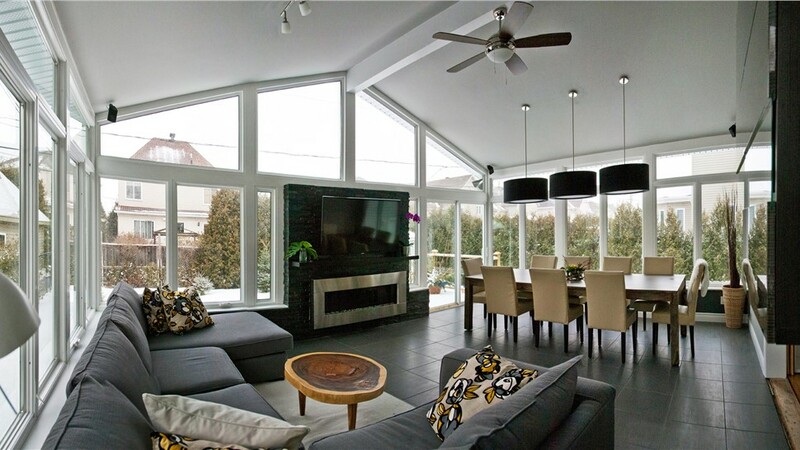 If you’ve been thinking about adding a sunroom, the first step is to contact us! 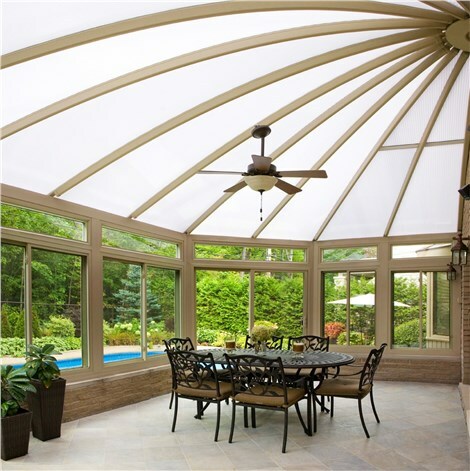 Just give Sunview Enterprises a call to speak with a member of our sunrooms team, or fill out our online contact form to schedule your free design consultation and estimate!